Last month, OnePlus rolled out the OxygenOS 2.2.1 update to OnePlus 2. Now, the company has started rolling out the same update to its OnePlus X smartphone. It’s just an incremental update and does not change the OS version. The update brings a variety of improvements and bug fixes. It also fixes the data leak issue that was reported by many users on roaming. Other issues that the update has fixed are – microphone muting while using Google Hangouts, and hindrance in the launching of app drawer when the Google search bar is hidden. 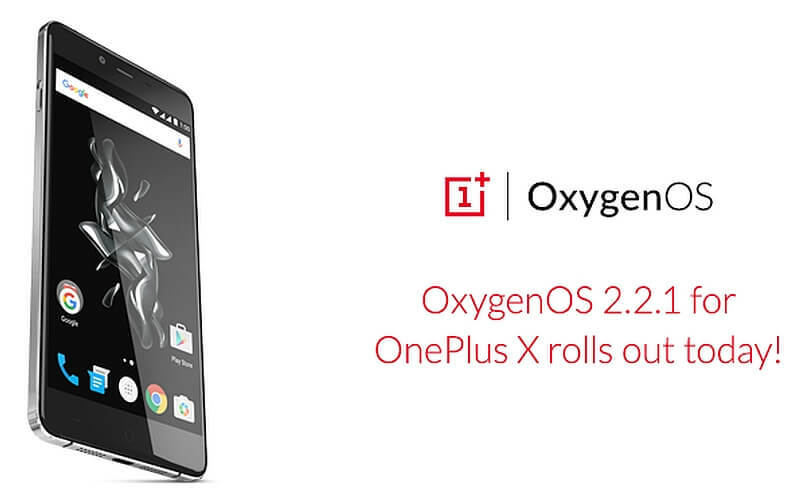 Moreover, the OxygenOS 2.2.1 for OnePlus X also includes a variety of enhancements such as APN update for Tigo carrier, Upgrade to GMS 3.0, security patches, along with basic bug fixes and system optimizations. Being an OTA update, it will be rolled out in a phase-wise manner, which means that it might take some time to reach every user. For those who do not like waiting, can also check for it manually by going to Settings > About Phone > System Updates. OnePlus recently slashed the pricing of the OnePlus X smartphone. The device is now up for sale at Rs. 14,999 via Amazon India. It was launched at Rs.16,999.